Max C50 tyres are great options that provide excellent levels of stability and comfort on every journey, no matter where you are going or what you are transporting. The extra support built into these options is perfect for regular use where there are heavy loads needing to be delivered but you will still enjoy a smooth journey with good grip and responsiveness to make every journey easier. 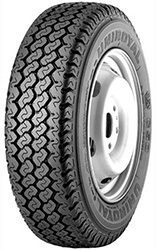 Choose Max C50 tyres from Uniroyal for all your needs.